LAS VEGAS — Learning technology appears to be heading for a major upgrade. Walmart is using virtual reality, or VR, to train its employees, and many other companies may soon do the same. VR adoption is part of a larger tech shift in employee learning. For example, companies such as Wendy’s are using simulation or gamification to help employees learn about food preparation. Deploying VR technology is expensive, with cost estimates ranging from tens of thousands of dollars to millions, attendees at the HR Technology Conference learned. But headset prices are declining rapidly, and libraries of VR training tools for dealing with common HR situations — such as how to fire an employee — may make this tool affordable to firms of all sizes. For Walmart, a payoff of using virtual reality comes from higher job certification test scores. Meanwhile, Wendy’s has been using computer simulations to help employees learn their jobs. It is also adapting its training to the expectations of its workers, and its efforts have led to a turnover reduction. Based on presentations and interviews at the HR Technology Conference, users deploying these technologies are enthusiastic about them. “It truly becomes an experience,” said Andy Trainor, senior director of Walmart Academies, in an interview about the impact of VR and augmented reality on training. It’s unlike a typical classroom lesson. “Employees actually feel like they experience it,” he said. Walmart’s training and virtual reality team, from left to right: Brock McKeel, senior director of digital operations at Walmart and Andy Trainor, senior director of Walmart Academies. Walmart employees go to “academies” for training, testing and certification on certain processes, such as taking care of the store’s produce section, interacting with customers or preparing for Black Friday. As one person in a class wears the VR headset or goggles, what that person sees and experiences displays on a monitor for the class to follow. Mallon’s point is something Wendy’s realized about its restaurant workers, who understand technology and have expectations about content, said Coley O’Brien, chief people officer at the restaurant chain. Employees want the content to be quick, they want the ability to swipe, and videos should be 30 seconds or less, he said. “We really had to think about how we evolve our training approach and our content to really meet their expectations,” said O’Brien, who presented at the conference. Wendy’s also created simulations that reproduce some of the time pressures faced with certain food-preparation processes. Employees must make choices in simulations, and mistakes are tracked. The company uses Cornerstone OnDemand’s platform. Restaurants in which employees received a certain level of certification see higher sales of 1% to 2%, increases in customer satisfaction and a turnover reduction as high as 20%, O’Brien said. I have a MacBook Pro I have been using since 2014, I am the sole owner since new. It has the i5 processor and I have upgraded the ram to 8GB. The hard drive is still the OG one though it can changed to 512SSD. It is in good condition and the battery is still great, I have attached a coconut report. It’s running the latest OS. The laptop has been mainly used for University work as you can see MATLAB and Mathematica are installed. It has casing and a keyboard protector. Using Microsoft Teams means Exchange administrators need to understand how this emerging collaboration service connects to the Exchange Online and Exchange on-premises systems. At its 2017 Ignite conference, Microsoft unveiled its intelligent communications plan, which mapped out the movement of features from Skype for Business to Microsoft Teams, the Office 365 team collaboration service launched in March 2017. Since that September 2017 conference, Microsoft has added meetings and calling features to Teams, while also enhancing the product’s overall functionality. Organizations that run Exchange need to understand how Microsoft Teams relies on Office 365 Groups, as well as the setup considerations Exchange administrators need to know. Each team in Microsoft Teams depends on the functionality provided by Office 365 Groups, such as shared mailboxes or SharePoint Online team sites. An organization can permit all users to create a team and Office 365 Group, or it can limit this ability by group membership. When creating a new team, it can be linked to an existing Office 365 Group; otherwise, a new group will be created. Microsoft Teams is Microsoft’s foray into the team collaboration space. Using Microsoft Teams with Exchange will require administrators to stay abreast of roadmap plans for proper configuration and utilization of the collaboration offering. Microsoft adjusted settings recently so new Office 365 Groups created by Microsoft Teams do not appear in Outlook by default. If administrators want new groups to show in Outlook, they can use the Set-UnifiedGroup PowerShell command. Microsoft Teams’ reliance on Office 365 Groups affects organizations that run an Exchange hybrid configuration. In this scenario, the Azure AD Connect group writeback feature can be enabled to synchronize Office 365 Groups to Exchange on premises as distribution groups. But this setting could lead to the creation of many Office 365 Groups created via Microsoft Teams that will appear in Exchange on premises. Administrators will need to watch this to see if the configuration will need to be adjusted. As an Exchange Online customer, subscribers also get access to all the Microsoft Teams features. However, if the organization uses Exchange on premises, then certain functionality, such as the ability to modify user profile pictures and add connectors, is not available. Microsoft Teams’ reliance on Office 365 Groups affects organizations that run an Exchange hybrid configuration. Without connectors, users cannot plug third-party systems into Microsoft Teams; certain add-ins, like the Twitter connector that delivers tweets into a Microsoft Teams channel, cannot be used. Additionally, organizations that use Microsoft Teams with Exchange on-premises mailboxes must run on Exchange 2016 cumulative update 3 or higher to create and view meetings in Microsoft Teams. Antispam technology might need to be adjusted due to some Microsoft Teams and Exchange integration issues. When a new member joins a team, the email.teams.microsoft.com domain sends an email to the new member. Microsoft owns this domain name, which the tenant administrator cannot adjust. Because the domain is considered an external email domain to the organization’s Exchange Online deployment, the organization’s antispam configuration in Exchange Online Protection may mark the notification email as spam. Consequently, the new member might not receive the email or may not see it if it goes into the junk email folder. To prevent this situation, Microsoft recommends adding email.teams.microsoft.com to the allowed domains list in Exchange Online Protection. Administrators need to understand the security and compliance functionality when using Microsoft Teams with Exchange Online or Exchange on premises. Office 365 copies team channel conversations in the Office 365 Groups shared mailbox in Exchange Online so its security and compliance tools, such as eDiscovery, can examine the content. However, Office 365 stores copies of chat conversations in the users’ Exchange Online mailboxes, not the shared mailbox in Office 365 Groups. Historically, Office 365 security and compliance tools could not access conversation content in an Exchange on-premises mailbox in a hybrid environment. Microsoft made changes to support this scenario, but customers must request this feature via Microsoft support. An organization might want its users to have the ability to send email messages from Exchange Online or Exchange on premises to channels in Microsoft Teams. To send an email message to a channel, users need the channel’s email address and permission from the administrator. A right-click on a channel reveals the Get email address option. All the channels have a unique email address. Administrators can restrict the domains permitted to send email to a channel in the Teams administrator settings in the new Microsoft Teams and Skype for Business admin center. In our last two blogs in this series, we discussed how governments are using digital assistants—often with cognitive services such as language translation built in—to engage their community in more accessible ways and support their teams. Another way that governments are using emerging technologies such as artificial intelligence (AI) and the Internet of Things (IoT) is to help them predict needs and anticipate issues so they can prepare accordingly. For example, to keep Alaska’s highways open and safe during severe winter weather, the Alaska Department of Transportation and Public Facilities uses the Fathym WeatherCloud solution and Microsoft Azure IoT technologies to make better, hyper-local decisions about deploying road crews. Being able to make more informed decisions with better data is helping Alaska save lives and significantly reduce road maintenance costs. Read “How Alaska outsmarts Mother Nature in the cloud” to learn about what led Alaska to deploy the system, how it works, and the way it’s helping the state keep residents safer and save hundreds of thousands of dollars each year in resource usage. Another example of keeping vital infrastructures up and running with insight from AI and IoT solutions comes from our partner eSmart Systems. With its Connected Drone portfolio, utilities can send smart drones out on beyond-line-of-sight missions to inspect power lines and pinpoint faults and weaknesses. Utilities are using Connected Drones to stay ahead of power grid maintenance issues and help them prevent or reduce blackouts in the communities they serve. And by using drones to inspect lines, which can be dangerous for personnel, they can keep their teams safer. Utilities are also using Connected Drones to get power back up and running after a disaster, as was the case in Florida after Hurricane Irma. Watch this video to see how the drones helped to assess the damage quickly—inspecting hazardous areas so human inspectors wouldn’t have to be put in harm’s way. With insight from the Connected Drones, the utility company was able to know not only precisely where repairs were required, but also which crew and equipment were needed to get power restored as quickly as possible in the affected communities. Those are just a few examples of how governments can gain insight with AI and IoT that can help them keep the infrastructures their citizens rely on up and running. To learn about more vertical and horizontal areas where your government agency can benefit from AI, read the Gartner report: “Where you should use artificial intelligence—and why.” It provides research on the potential of various use cases and offers recommendations on the most effective strategies for applying AI. Easily integrate with modern serverless architectures, such as Azure Functions and Azure Logic Apps, to automate workflows and downstream processes. Enable alerting with quick reaction to creation, deletion, connection, and disconnection of devices. Eliminate the complexity and expense of polling services and integrate events with 3rd party applications using webhooks such as ticketing, billing system, and database updates. 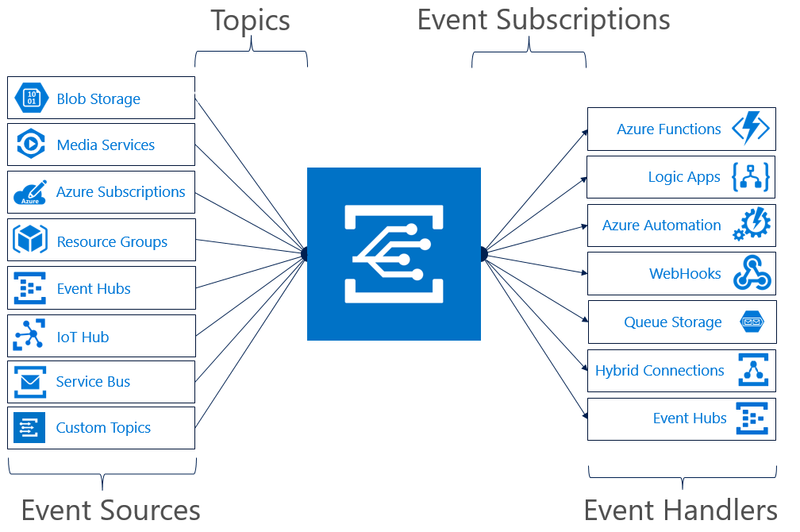 Together, these two services help customers easily integrate event notifications from IoT solutions with other powerful Azure services or 3rd party applications. These services add important device lifecycle support with events such as device created, device deleted, device connected, and device disconnected, in a highly reliable, scalable, and secure manner. As we work to deliver more events from Azure IoT Hub, we are excited for you to try this capability and build more streamlined IoT solutions for your business. Try this tutorial to get started. We would love to hear more about your experiences with the preview and get your feedback! Are there other IoT Hub events you would like to see made available? Please continue to submit your suggestions through the Azure IoT User Voice forum. Fully set-up mining rack with 18 GPUs (3 x 6 Rigs). Currently Mining using Simplemining. There is one rack with 4 shelves with 6 GPUs on 3 shelves and Hot Air Extractor on 1 shelf. Each, set up to operate independently from each other. Mining temperatures drop significantly with this solution. Each rig does between 120-130 MH/s depending on tuning on equihash, so you will buying approx 400 MH/s. Only used for a short amount of time. Collection only from West London.